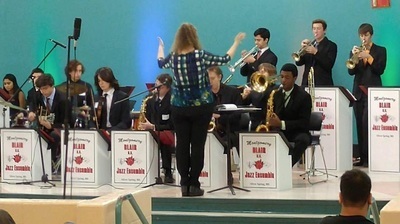 ​The Tri-M® Music Honor Society is the international honor society for secondary school music students. The formation of this chapter signifies Montgomery Blair High School’s recognition of the importance of the arts in the development of a comprehensive educational program. 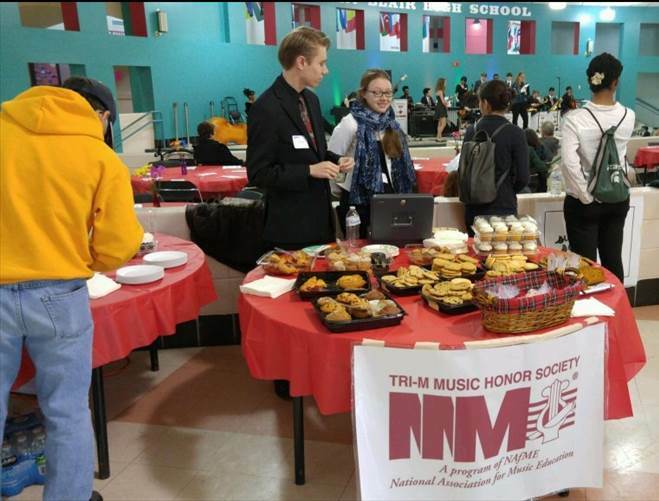 The Tri-M Music Honor Society provides a means of recognizing the efforts and achievements of music students who volunteer their time and share their musical talent with others. Since 1952 more than 5,500 Tri-M chapters have been chartered in the United States and abroad, and current membership exceeds 67,000. Tri-M is a program of the National Association for Music Education. The goal of the Tri-M Music Honor Society is to foster greater interest in band, orchestra, and choral performance and to provide more opportunities for personal musical expression. 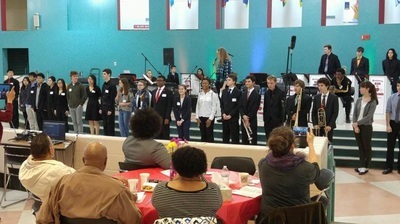 Students are selected for membership in the honor society on the basis of musicianship, scholarship, character, leadership, and service to their school and community. The organization’s high standards serve to challenge students to greater effort and achievement and to encourage them in the pursuit of excellence. For more detailed information about Tri-M Chapter 4407 at Montgomery Blair High School, click the link below. Carnival of the Animals Community Music Festival! Click here for video of the Carnival of the Animals Performance. Click here for video of the Marching Band Performance. for Music Education. Unauthorized copying or use of said trademarks is strictly prohibited.